Things can get tight sometimes in maintenance operations in and around aircraft. 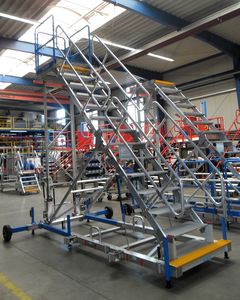 Access steps and maintenance platforms are frequently in the way or must be brought quickly to a different site. Zarges now offers a space saving system with its folding maintenance dock that is said to be flexible and easy to move. 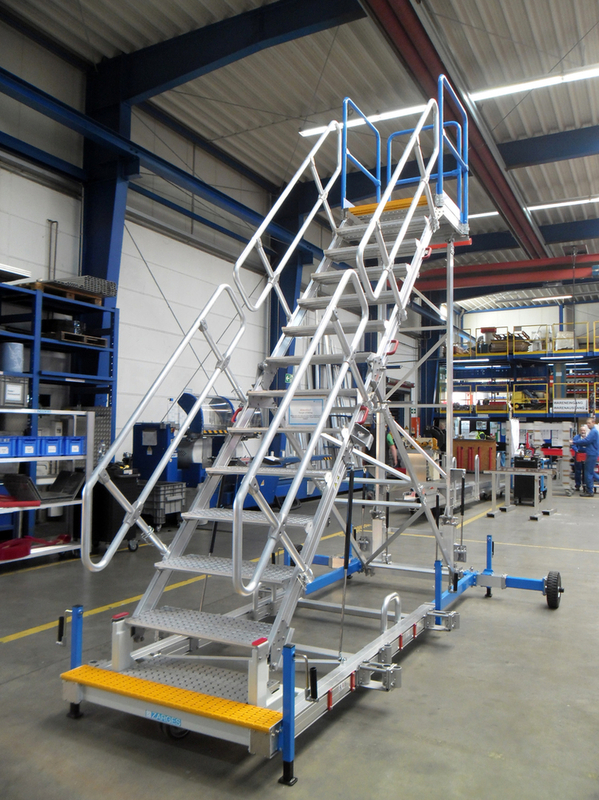 The aluminium maintenance dock enables working heights up to 5.50 metres and can be folded down to a compact size when it is not in use – so small that it can even fit on a transporter or pallet and be set up in under 10 minutes by two people at the maintenance site without any additional tools. The 1x1-metre water-permeable aluminium work platform with XCut surface is stable and comfortable for up to two people. Due to the padded front edge, the maintenance crew can get as close to the aircraft as possible. A railing extends around the entire platform to protect workers from falling. 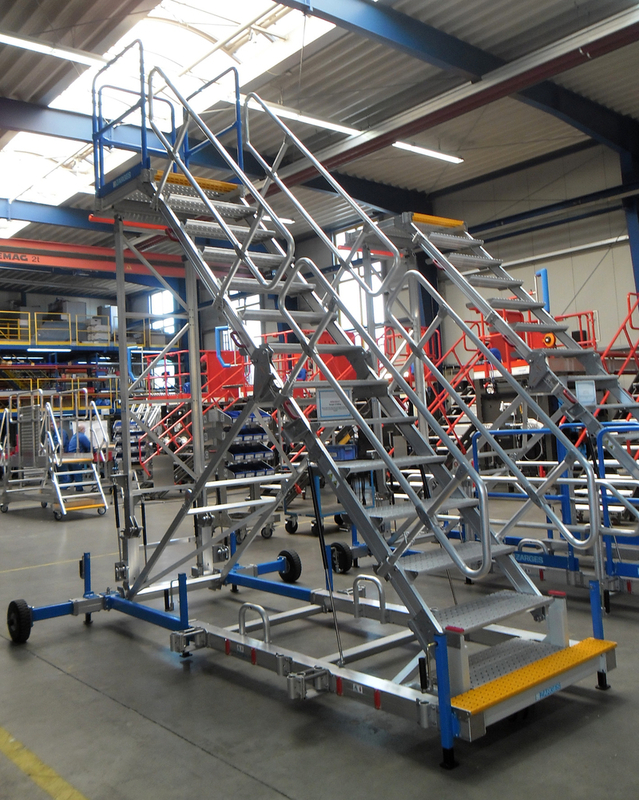 The folding maintenance dock is DIN EN 1915 and DIN EN 12312-8 compliant.